Physician here. If I were you, I’d jump at the chance for a free flu shot. The reason there are so many misconceptions about the flu shot is largely due to the lay public’s understanding of Influenza. We have taken to calling any stomach bug or upper respiratory infection “a flu.” Stomach flu. 24 hour flu. Et cetera. It’s all nonsense. There are hundreds of mild viruses that cause these symptoms, none of them are Influenza, and none of them are meant to be reduced by getting the flu shot. So when your aunt Kathy complains that her flu shot didn’t work because she threw up for two days in February, slap her gently across the face. That wasn’t flu, Kathy. I’ve had Influenza A once in my life, and once was enough. Two weeks of headache, myalgia, nausea, vomiting. Every day it felt like I had just woke up after being hit by a bus. I will never, EVER call any cold-with-some-squirts a “flu” anymore. Now. With that established, we still haven’t really figured out if you should get the shot or not. Advantages: Lower chance of acquiring Flu, maybe a less severe course if you do contract the infection. Disadvantages: sore deltoid for a day or two, maybe a mild cold-like illness for a few days. That’s essentially it. There’s a lot of polemic out there around vaccines, but most of it is hogwash, and the rest is mostly outdated concerns about chemicals that aren’t used any more. The flu vaccine contains no “live” virus whatsoever, nor does it contain any flu DNA. 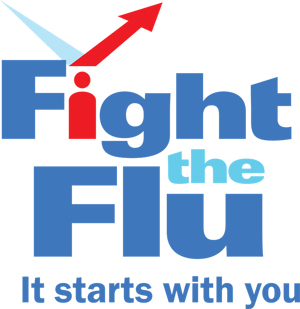 You cannot “get the flu” from a flu shot. What you can get is some side effects of your body mounting its immune response, hence the cold-like symptoms listed above. Some haters will also bring up rare, 1:1 million complications, like Guillain-Barre Syndrome. This condition is ultra rare, can occur with any viral illness or immune response, and is actually MORE likely if you get the flu than if you get the vaccine. The risk of dying if you catch flu is 1/10000. The risk of Guillain-Barre if you get the vaccine is 1/1,000,000. So you do the math. That said, if you’re a young adult who is immunocompetent and is not pregnant, your chances of serious disability or death from influenza are pretty low. We encourage vaccination of medical staff NOT because we’re worried about the health of our workers. We vaccinate medical workers so that they are less likely to contract flu, and then kill off half a geriatric ward when they spread it. I don’t know why you have access to a flu shot, but if it’s because of your own health issues or health-related employment, it’s a no-brainer. Get it. If you’re not in a risk group, or around risky individuals, it’s less clear what your choice should be. That’s all I got. Keep in mind that while I’m a medical professional, allergy/immunology is not my area. Now go do some decent Googling and then decide for yourself! EDIT: Forgot about Flumist, thanks for all the reminders. I’m OBGYN so I never use it, my comments are valid only for the non-Flumist, injectable, protein-capsid-whatever types. At my previous job, I’d get a free flu shot every year, and never once had a negative reaction. 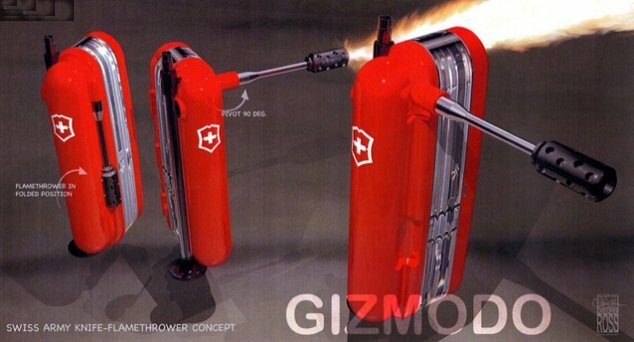 I’ve only gotten one since I retired in 2006; I think my insurance covers one annually – I need to check. Now that I’m moving toward bona-fide “senior citizen” status, I think it behooves me to get back in the habit. Thimerosal is a mercury-based preservative, and the biologically inactive form of mercury. It was added to vaccines to prevent the vaccine from spoiling, and to prevent cross-contamination. In the early days of vaccination the whole class was vaccinated from a single bottle with a single needle. Just a quick wipe with a cotton ball and some alcohol. Thimerosal probably saved many, many lives. I agree – this is the pinnacle of “not my job” mentality. I just thought someone might be interested in this… at least, it is to be hoped. Thank you for listening. Thanks for your message! If the recipient confirms that an apartment number was missing; that could be the reason why your package was returned to you. If there wasn’t any error with your address, please contact the USPS to open a claim. They’ll contact us to investigate. THE Royal Mail revealed yesterday Britain’s undeliverable post costs about pounds 10million a year. The National Return Letter Centre handled 72million “undeliverable” items of mail and the figure is on the increase with an 18 per cent annual rise. But, despite this, postmen and women still manage to deliver letters with the strangest addresses. The local postie had been delivering mail to Moira for 15 years and had remembered her mentioning she was going to Russia on holiday. It should be noted that such things might have been much more likely when the population of the country was substantially smaller. I don’t expect every postal worker to have every address of every recipient memorized, but it would have taken Monsieur le Facteur (ou bien Madame la Factrice) less than 30 seconds to look up my friend’s apartment number; you can’t tell me they don’t keep such lists. But it seems that for the individual involved, that was too much trouble. Having vented a bit, I now feel better. This is Québecois for “The damn postman could have completed it, for Hell’s sake,” or something similar. The French is considerably more blasphemous. If you’re running for President, don’t plagiarize Wikipedia. For Mr. Paul and all other future presidential candidates, I recommend the following speech, written by Norton Mockridge, entitled “What’d He Say? What’d He Say?” It’s guaranteed to generate interminable applause, and send your listeners home wiping away tears of gratitude. They may even go out and buy a kitten. Distinguished guests, ladies and gentlemen, my colleagues and comrades. It is indeed an honor and a rare privilege to address you on this memorable occasion. First, I would like to congratulate heartily each one of your assembled here on the attainment of the objectives for which you have worked so hard. In this connection, I might add that a very strange thing happened to me on the way to this function, which reminds me at this point of a story. The disturbing feature of all this is, despite all the bitter lessons, we know better. As that great statesman once said, I need hardly remind this audience without fear of successful contradiction that we hand down to posterity as a matter of policy a few words about your splendid hospitality and this great nation of ours. We view with alarm but under our present wise leadership, and, some may be surprised, for above and beyond we begin to see the sun breaking through. We are counting on your continued support because, as you so well know, money must be forthcoming to our way of life. As we travel the long road ahead down to the grass roots of America, there are those extremists whose voices cry out in the night. In this worthy cause we must not forsake by rather, with wisdom, recall that there are those who say that tomorrow may be too late. Make no mistake—-in our overall approach no one will dispute this fact—-it is a sobering thought. It is perhaps more than coincidence, and honest demands, whether we desire it or not. that we face up to the issues. This observation has led me to one conclusion. We demand adequate funds. The world looks to us for leadership and we point with pride in considering the credit side of the ledger. Keeping always abreast of the times , the record shows that we are a young nation. It is gratifying to hear, like all good Americans and these are simple, hard facts. We have no illusions. This is no dream, but a challenge. History teaches us that the period of greatest crises lies before us, and especially disillusioning has been our experience in this worthy cause. Yet, we must not falter. Where then shall we turn? In our judgement we do not wish to confuse the issue. The primary ain has always been to understand the problems better. I do not pretend to know the answers There are unmistakable sign, I submit to you, and in such view we areperhaps more to be applauded than condemned, as the world may one day see. Another and wiser man has said it far better, for therein lies the common denominator of a people who will never give up. We should then, pause and reflect. It was gratifying to hear in our over-all approach , and as a matter of fact it is this very spirit of unselshishness which is beyond peradventure of a doubt. Whoever would challenge this words of our founding fathers? I say to you, let’s look at th e record as set forth by them. Of this we can be assured—as those who have gone before us—-and these splendid men and women in this room whose very presence tonight testifies. With heartfelt thanks, and with undying determination as in the immortal words first uttered by my illustrious colleagues, we hear the hallowed voices—–Blue and Grey—-who made it the great common hertigage of the melting pot, sealed with blood in the spirit of those dauntless pioneers, and in this tradition we must and we will —under God. It has been a distinct honor and privilege, and in conclusion let me reiterate once again what words cannot express. On that note may I leave you with this parting thought which I know will be taken in the spirit in which it is offered for the die is cast before the bar of justice and world opinion. 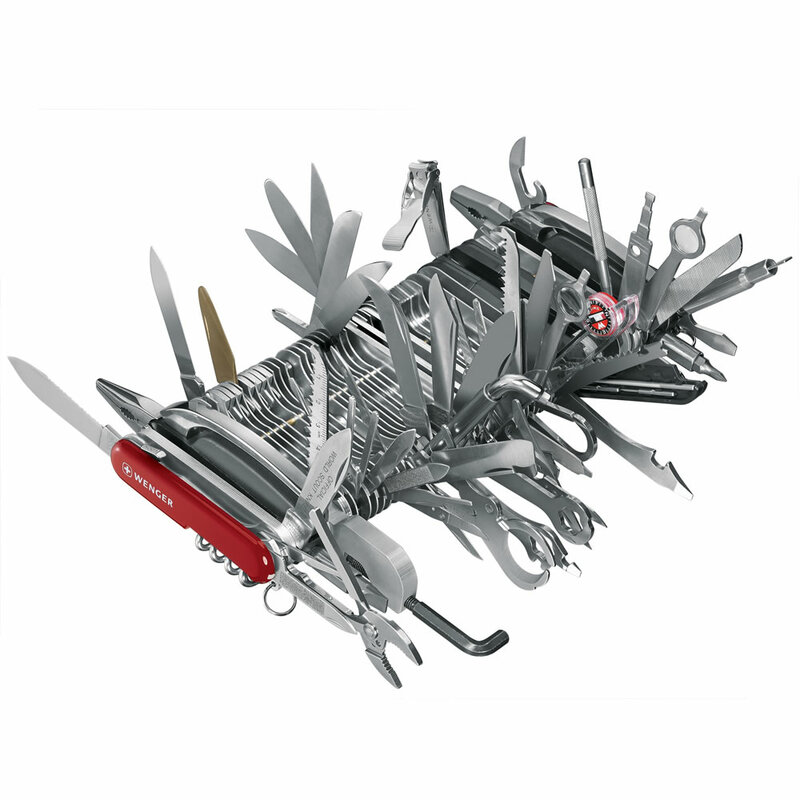 But 12 years before the official Swiss Army Knife was born, a cutler named J.S. 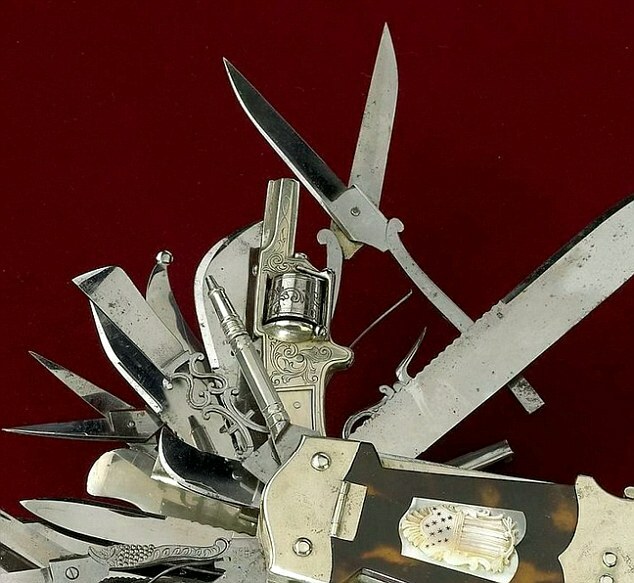 Holler from Solingen, Germany, produced a monstrous 100-function knife as an advertisement for their services. In ancient and medieval times, shop signs were developed when tradesmen devised recognizable icons to represent their trades when dealing with a largely illiterate public. This massive knife hung in the window of Holler’s store to advertise their craft in a powerfully visual way. Closeup of one end, showing the .22 caliber five-shot pinfire revolver. 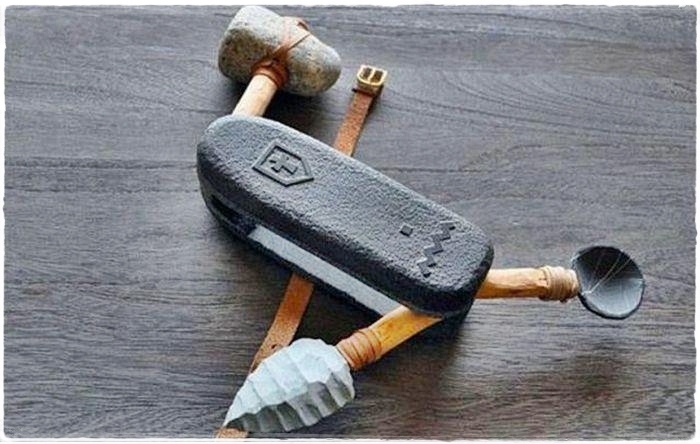 This is a knife you could bring to a gunfight. This knife wasn’t really meant to be carried. 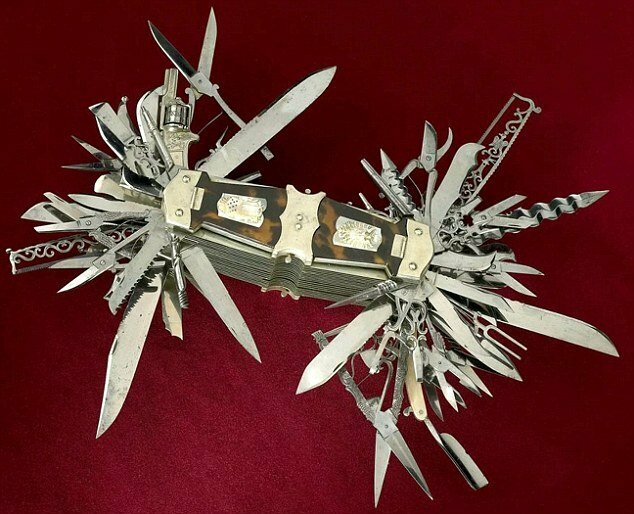 Knives like this were made exclusively for exhibition to highlight the cutlers’ art. They were so difficult to make they were only attempted by the most notable firms with the most talented artisans. They could be seen at various fairs and industrial expositions during the nineteenth century. This particular knife was made in Solingen, Germany about 1880 for J. S. Holler & Co.’s cutlery store in New York City. It was used it to display the fine craftsmanship available to their customers. At the time, German cutlery firms were attempting to establish themselves in the American market, which was dominated by the firms of Sheffield, England. The workmanship and complexity of this knife make it one of the finest examples of the cutlers’ art in America. 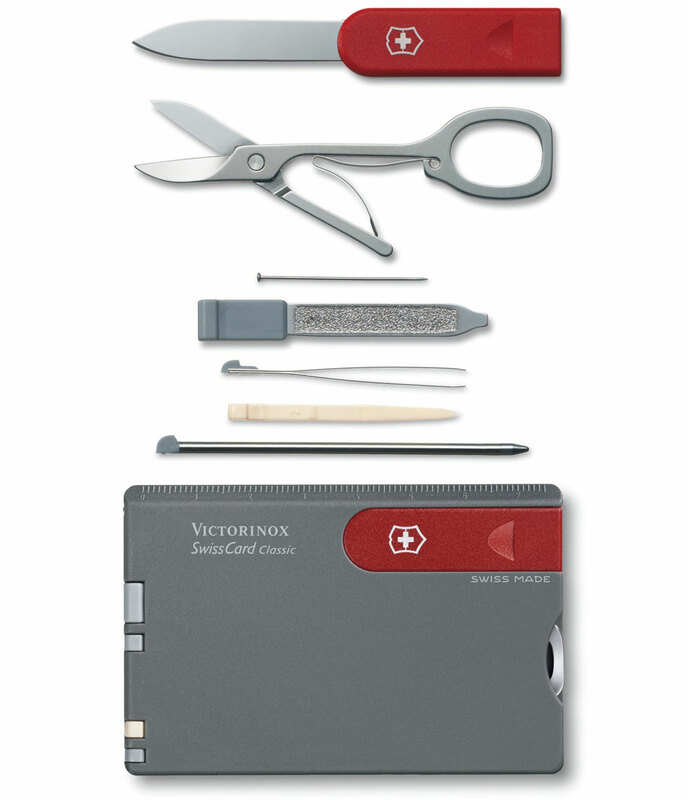 Closeup of the center, showing the panels of one side open – each of four panels contained an assortment of mini-tools, including scissors and a straightedge razor. The knife itself was about 10″ long, the straightedge just over 1 inch when closed. With over 100 functions, this knife includes (not counting the mini-tools) a serrated blade, dagger blades, shears, scissors, an auger, a corkscrew, saws, a lancet, button hook, cigar cutter, pens and pencils, mirror, a straight razor. 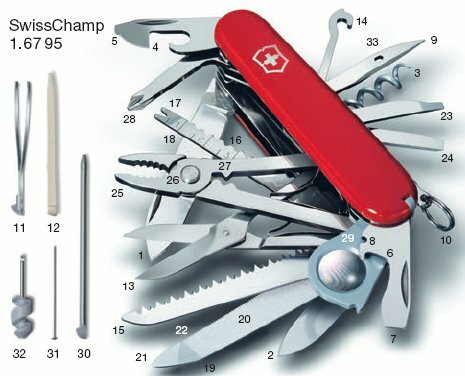 a tuning fork, and a butter knife, among many others. 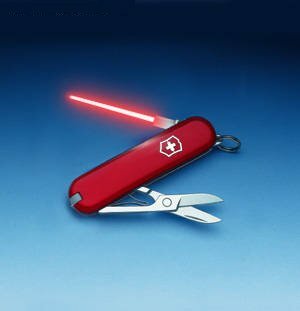 The Only Complete Swiss Army Knife. 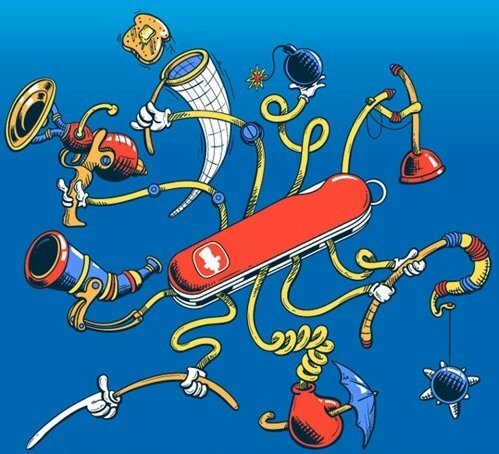 Of all the tools ever invented, the Swiss Army knife is probably one of the most-loved and most-used, but for sheer craftsmanship and ingenuity, the Holler specimen is probably the finest of its kind in the world. Edit: A friend pointed out to me that a similarly complex knife had been manufactured in 1851, by the John Rogers firm of Sheffield, England. 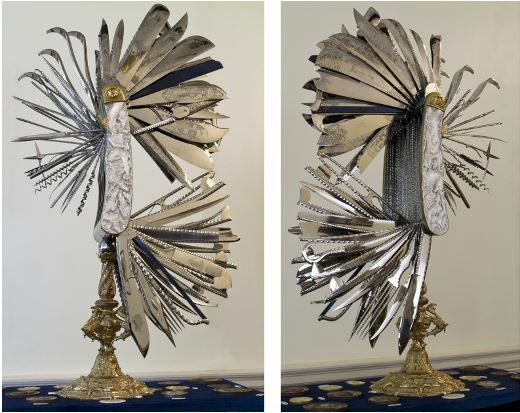 It is called the Norfolk Knife, and is on display at the Cutler’s Hall in Sheffield. I spent a good deal of time in Albania between 1993 and 2001, working on various translation projects. 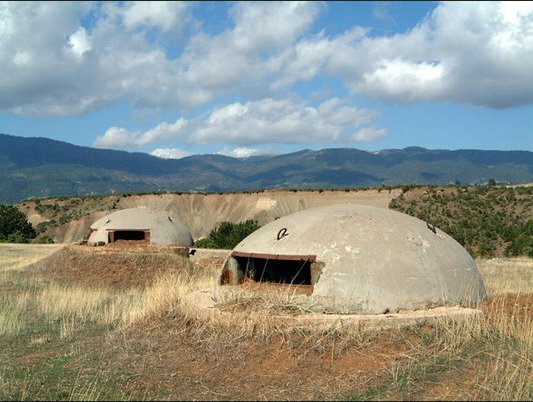 I posted about Albanian Currency before, but while musing on my travels there I remembered an interesting thing about that fascinating country – the bunkers. While Hoxha’s rule brought some industrialization and growth to a country that had been devastated by World War II, his own policies squandered the resources of the country, much of it in building 750,000 of these concrete abominations – the cost of which could have provided a paid-for apartment for an equal number of Albanian families. Much as North Korea today, Hoxha (pronounced HO-ja) was terrified that the decadent west and the corrupt East would come pouring in to Albania to strip the country of its glory and riches, neither one of which it possessed in the slightest degree. 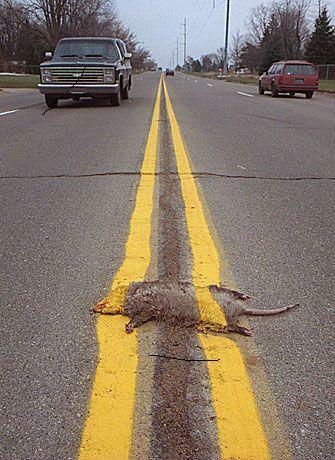 Nobody gave a rat’s south-40 about Albania, and there was nothing there to take. But that didn’t stop the First Secretary from outfitting every border, municipality, city, village, and community with bunkers large and small to protect against what was publicized as a constant threat of imminent invasion. Bunkers to protect the noble country from foreign invaders… which never came, or would have wanted to. Now, Albania struggles still to come into the modern world. They’ve had their ups and downs – the fall of Communism opened the doors to the nation, and a people starved for contact with the outside world have had to deal with massive corruption both private and governmental, pyramid schemes that wiped out much of the nation’s savings, the rise of Islamism (the historical faith of Albania) and the echoes of decades of brutal oppression. Areas of the country remain untouchable by law and order, places where centuries of tradition and isolation have provided a more effective barrier to the encroachment of modernity far better than a concrete bunker would have done – but they are making progress, and as a nation they know the meaning of hard work. I love my Albanian friends and have hope for their country. Two outstanding articles in the National Geographic, “Albania Stands Alone” (October 1980) and “Albania Opens the Doors” (July 1992) give an intriguing historical glimpse of what the country was like during and after Hoxha’s rule. Despite setbacks, the country continues to work toward a democratic government based on the rule of law, and has become a member of NATO. Some few bunkers have been repurposed as shops, barns, shelter for the desperate, or even hostels. 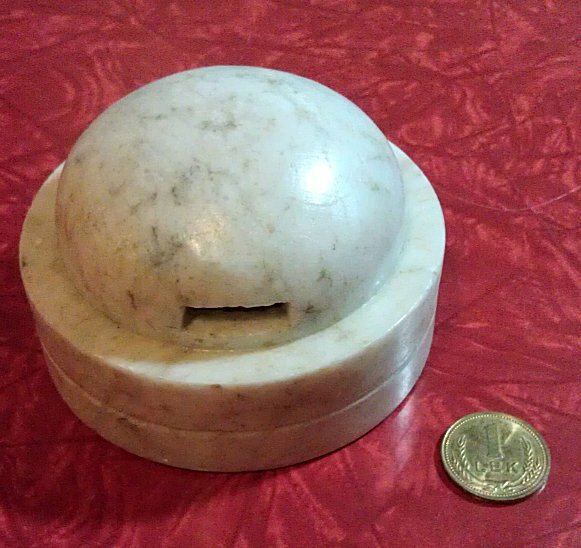 Small bunkers are still sold as souvenirs – here shown with a 1-Lek coin for scale. As for the bunkers, destroying each one costs around €800, money that to many people would be better spent elsewhere, so the vast majority of them remain, and will probably be an ever-present reminder of the “bad old days” for generations to come. 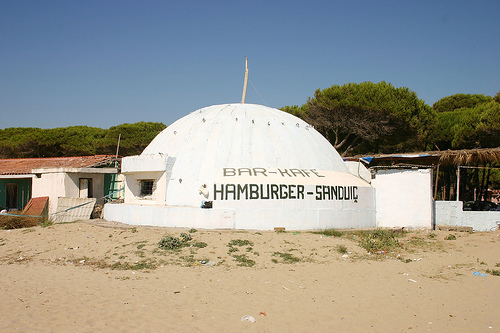 You can read more about the bunkers at Slate and Atlas Obscura. Just look at that stuff. Magnified 500 times (the image is colorized), it’s easy to see why some people’s noses and eyes respond unhappily to the invasion of this vegetative sperm. On the other hand, without it plants would reproduce and the world would be left dead and sterile. It turns out pollen is great for science, as well. 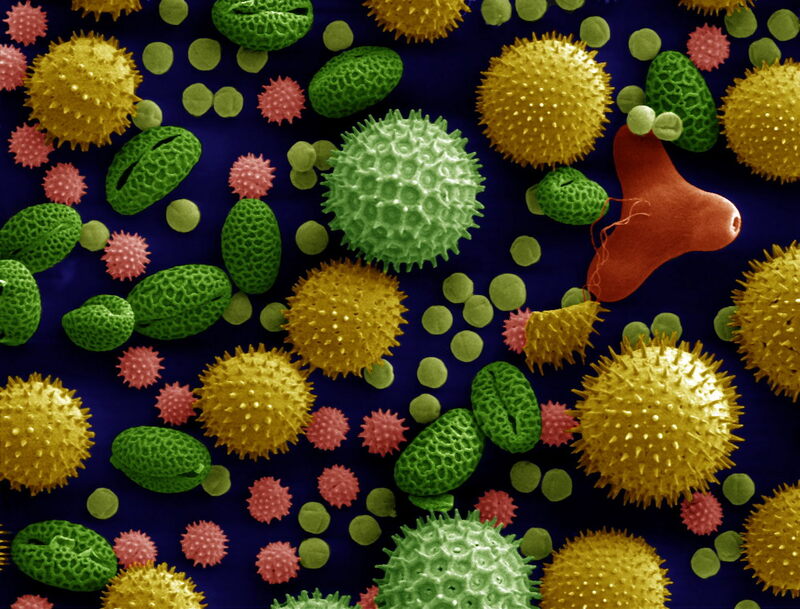 Pollen lasts for a long, long time – millions of years when fossilized. A 3,200-year drought and cold wave destroyed a late Bronze Age thriving society near present-day Tel Aviv and far beyond, and until now scientists had no clue as to why – but pollen appears to have solved the mystery. A study of fossil pollen particles in sediments extracted from the bottom of the Sea of Galilee has revealed evidence of a climate crisis that traumatized the Near East from the middle of the 13th to the late 12th century BCE. The crisis brought about the collapse of the great empires of the Bronze Age. Even older, analysis of pollen hundreds of millions of years old showed that flowers may have existed as early as the first dinosaurs, according to an article in LiveScience. Newfound fossils hint that flowering plants arose 100 million years earlier than scientists previously thought, suggesting flowers may have existed when the first known dinosaurs roamed Earth. Under high magnification, these little grains are beautiful, and it seems very useful to scientific research. But that is cold comfort to those who suffer from hay fever, a malady from which I have been blessedly exempt – but having watched my kids suffer, I have endless sympathy for those who do. 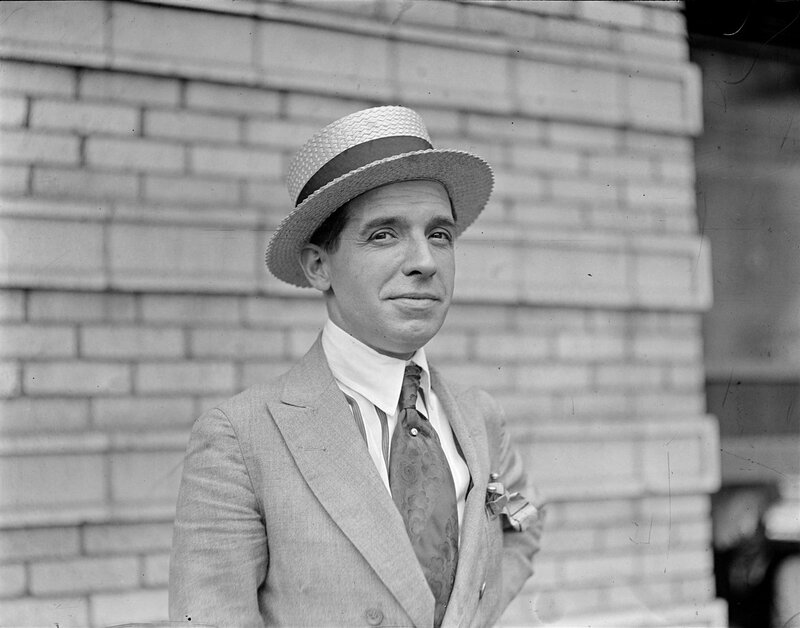 Charles Ponzi, after whom the infamous “Ponzi Scheme” was named, was about as unscrupulous a con-man as ever was born. The man must have come into the world with larceny in his heart, because he never gave up his ways or showed any sort of remorse for his chosen means of livelihood. The lesson to be learned from studying Mr. Ponzi’s sorry history is that if a deal looks too good to be true, it most certainly is. Sadly, many people have not learned this lesson, and con-men and swindlers continue to operate both locally and across international borders (especially with the advent of the internet); P.T. Barnum’s assertion that “there’s a sucker born every minute” is all too true. The authorities do what they can, but especially in the case of international swindlers, such as advance-fee scammers from Nigeria and elsewhere, there is little that can be done. If you haven’t been to the Sweepstakes Fraud Factsheet yet, you might just want to have a look. Protect your loved ones, especially the elderly and vulnerable.